I am always looking for back issues of Cometbus if you're willing to part with yours. I need anything before #29 as well as 31, 32, 33 & 44. This is my personal zine collection. It is not every zine I have ever read because, like many zinesters, I spent a great deal of my late teens/twenties moving around & in that time either lost/donated/lent my zines out. But this is twenty years of what I've held onto. This is for my own personal use but I wanted to share it with you because these zines are important to all of us & to the history of zines. My collection ranges roughly between mid-90s to mid-00s & then picks up again a few years later (I went through a rough period around 2008/2009/2010 & sort of stopped doing much of anything except drinking). I have some holes in my collection I hope to one day fill. 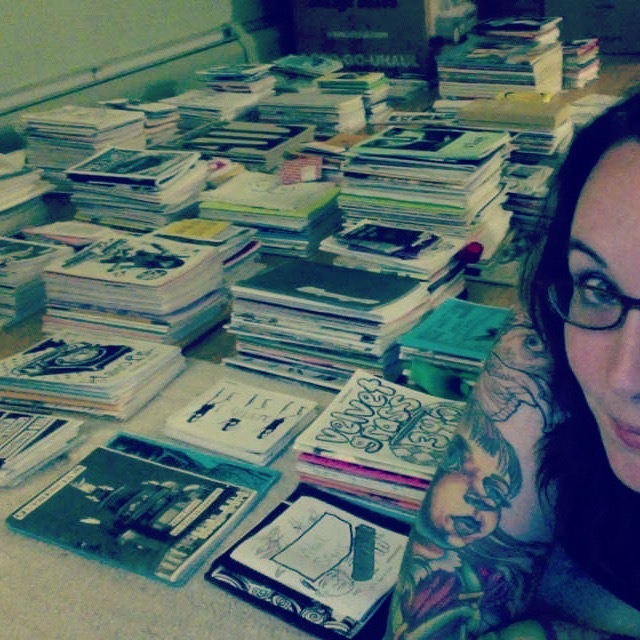 There are about 1,600 zines in my collection. Academia: Paradigm! Colon! Long Title! Is the Men's Movement Going Anywhere? I Will Have an Army of Clones. Life, Death, Love & "All of the Above"
Nobody Can Eat 50 Eggs #? Not Looking to Get Fucked. Not Tonight.